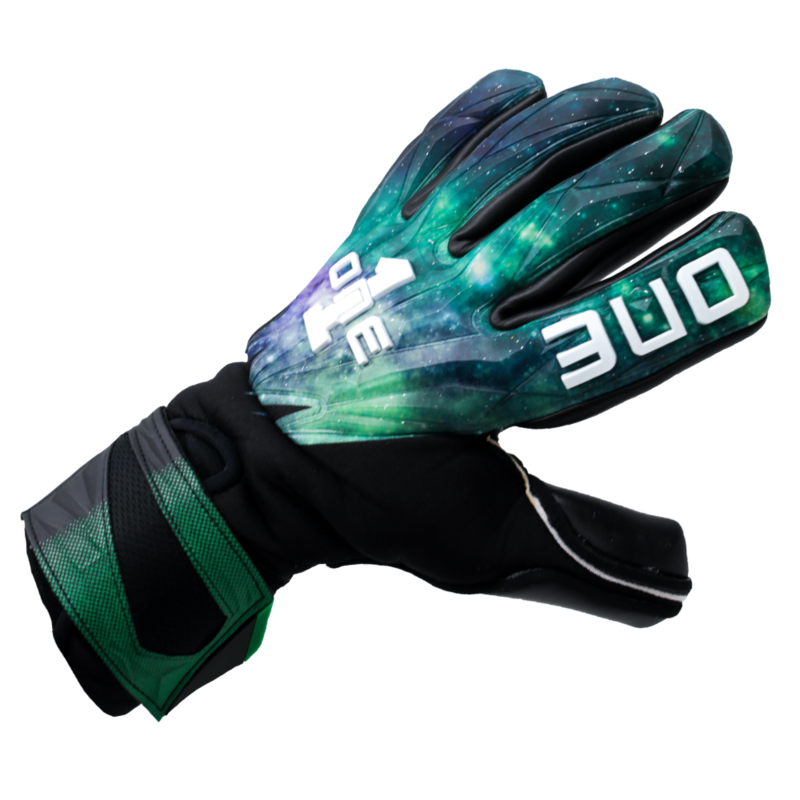 The One Glove Geo 2.0 Aurora is a new release for 2019, picking up from the Nebula. 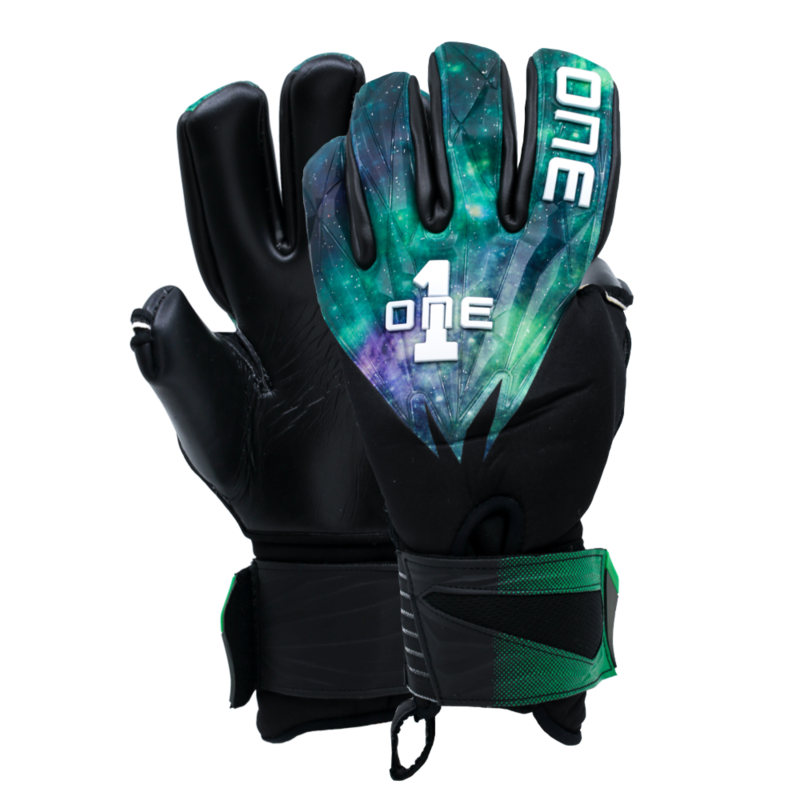 A glitter injected 3D silicone backhand with green/blue/purple colorway is truly stunning for a goalkeeper glove backhand. The ever impressive black contact latex offers supreme grip and the one piece glove body design increases overall comfort on the hand. 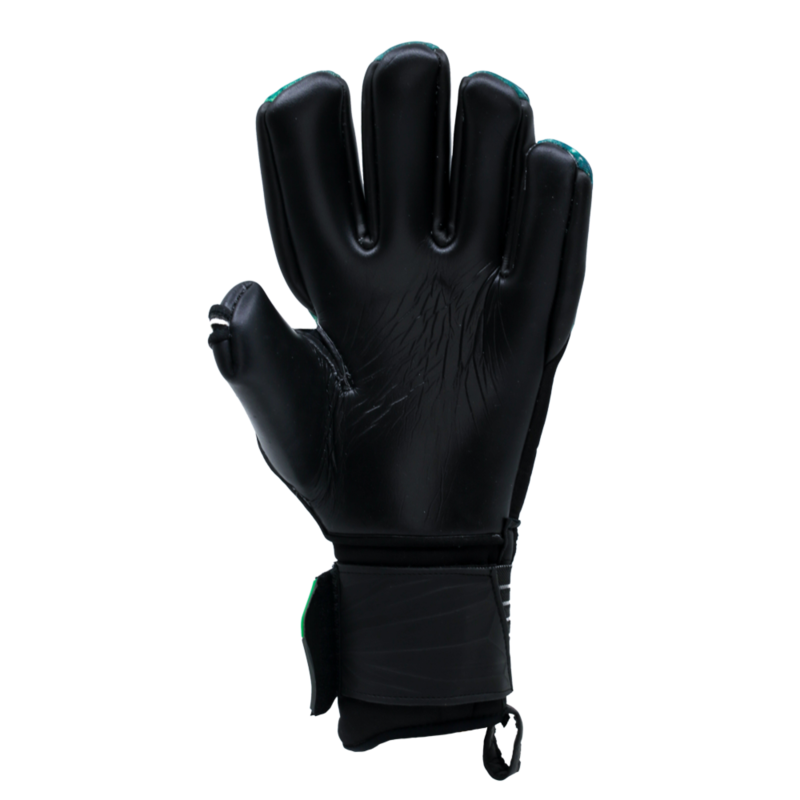 One piece glove body made from breathable black neoprene. 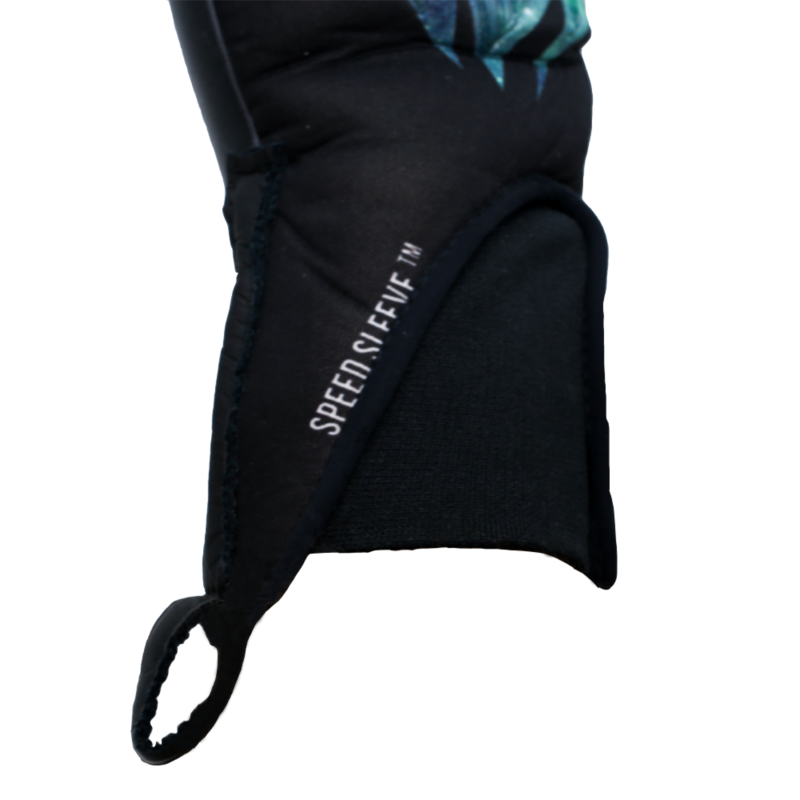 This neoprene glove body runs from finger tips to the speed sleeve wrist opening. The extremely comfortable backhand has glitter injected 3D silicone, which adds style and the perfect punching aid. True negative cut with double wrap thumb. The negative cut is an excellent cut option for those goalkeepers who like a snug fit. 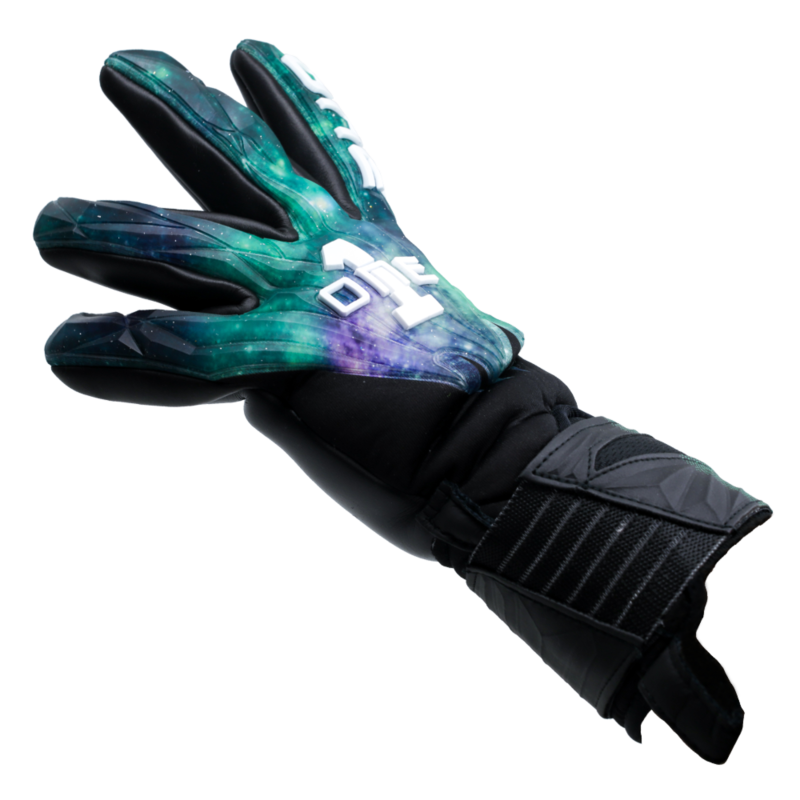 The cut makes it feel as though the gloves are custom made for your hand. 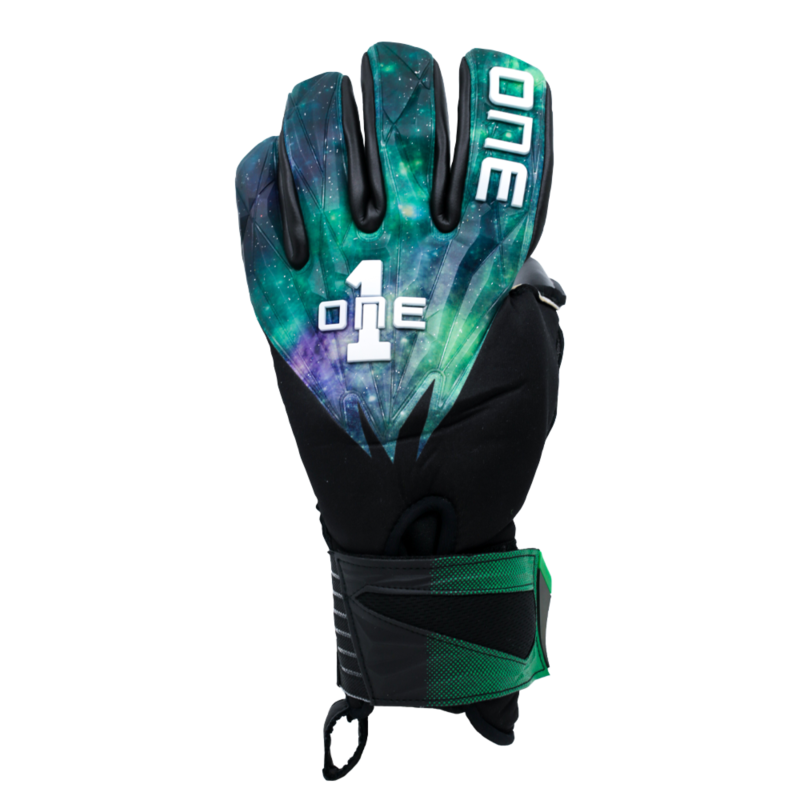 This soccer goalie glove is great for female goalkeepers too. Half elastic strap makes the wrist area fit extremely customizable. The new wrist band compliments the speed sleeve opening perfectly. 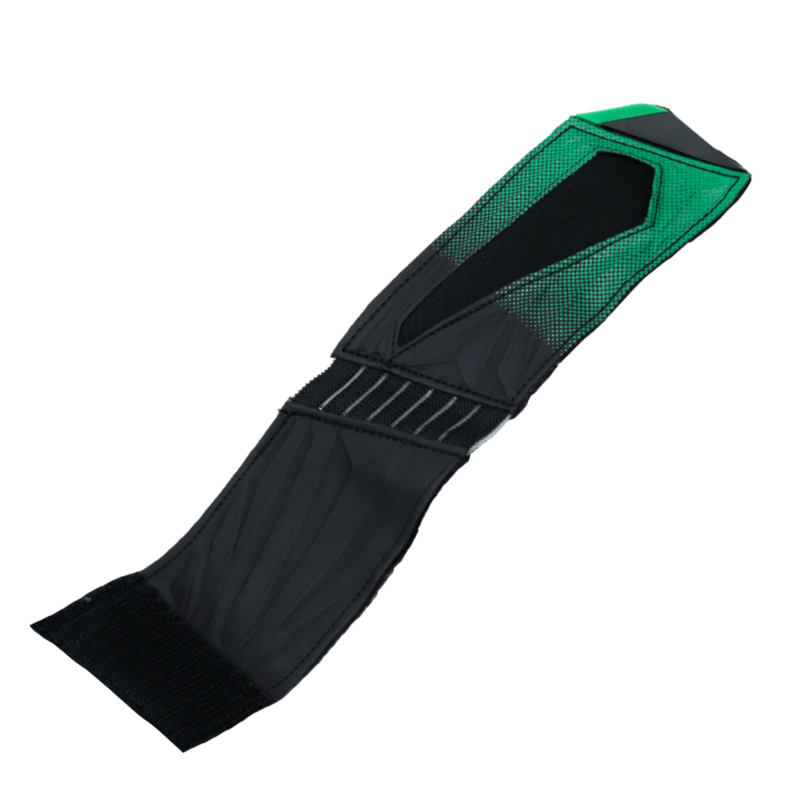 The speed sleeve neoprene wrist entry system makes it extremely easy to get the glove on and off. Game or practice glove for high school and college goalkeepers.